Thump-thud. It's move-in day again. New residents ram their bookcases, tables, and ironing boards into the walls, leaving potentially expensive damage. 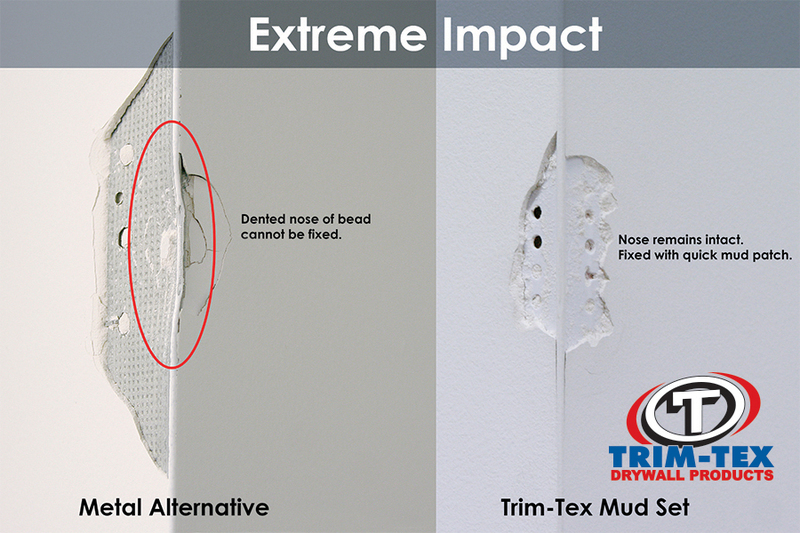 Trim-Tex bead can help absorb the blow. Multi-family buildings have specific needs when it comes to selecting building materials. Buildings such as condos and apartments must weather heavy wear and tear. Trusted in buildings such as the JW Marriott Mall of America, Trim-Tex beads are designed to keep interiors looking like new and maintenance costs low. The US Bank stadium in Minneapolis, MN features miles and miles of Trim-Tex L Bead.